INSTALL contractors have historically been concentrated in the Northeast and Midwest regions of the United States as well as Ontario and British Columbia, Canada. As we move into 2017, we will continue to grow our membership to bring training and certification to the industry, especially in unexplored territory. Tony Troehler, president of Mr. David’s Flooring International, LLC (MDFI) reports that in less than two years it has become one of the largest commercial flooring dealers in the state of Florida. 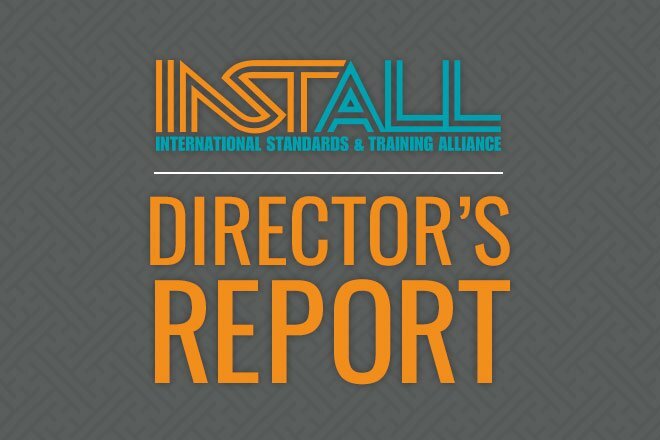 With 27 full-time installation technicians, MDFI owes much of its success to having a trained and INSTALL certified workforce. MDFI is also steadily building their installation crews in Tennessee. They rely on INSTALL safety and skill-set training and recruitment assistance from the Mid-South Carpenters Regional Council. The next training sessions are scheduled for November. Image Flooring LLC. and FCGC are steadily winning work and participating in quarterly INSTALL training to support their workforces. MasterCraft Floors has grown over the past five years as one of the largest flooring dealers in the Las Vegas area with 35 full time installation technicians. They are the primary flooring contractor on the Vegas Strip and they are chosen for their superior craftsmanship. Most recently, MasterCraft completed the new MGM T-Mobile Arena- an installation of carpet, resilient, epoxy resinous floors and over 150,000 sq. ft. of concrete polishing. MasterCraft Floors is also expanding its SoCal work with many prominent general contractors, casinos and colleges. The Southwest Regional Council of Carpenters serves as a sales assistant and provides quarterly training to MasterCraft and other INSTALL contractors in Southern California. The Pacific Northwest Regional Council of Carpenters is establishing INSTALL training and recruiting flooring dealers. The Pacific NW RCC is positioned to be a strong market presence and a valuable asset to flooring dealers looking to grow with INSTALL trained and certified journeymen.